CFT met with Lord Kakkar at MEDICA Trade Fair to showcase it’s FluorEx technology. Lord Kakkar is Professor of Surgery at the University College London with research interests in the prevention and treatment of venous and arterial thromboembolic disease. 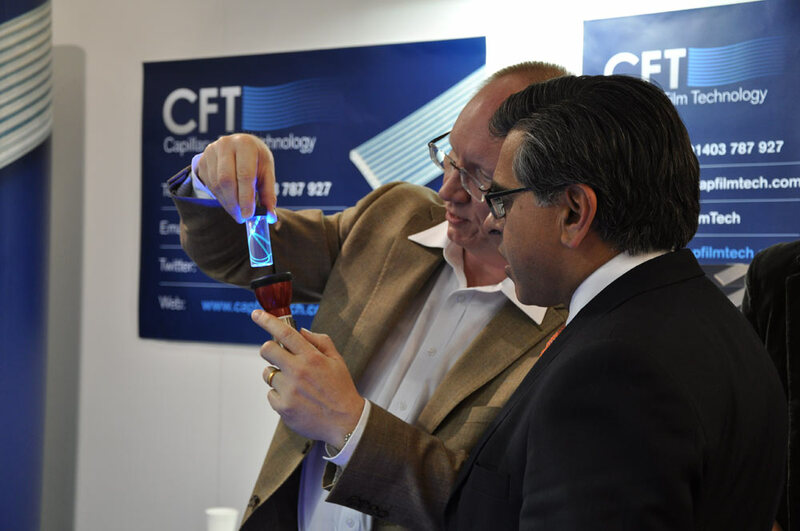 Lord Kakkar was excited about the value that CFT’s technology can add to the Life Science sector both in the UK and globally describing FluorEx as an ‘extremely exciting UK technology that once combined with the right partner, is poised to deliver tangible health benefits”.